There are many reasons why you may need to hire a tipper truck for your latest construction or landscaping project. Perhaps you are undertaking a landscape job at home, or maybe you plan to work on a large construction job. Tipper trucks are used in the transportation of waste and bull materials, in a variety of different work environments. Below we explore the different sectors where tipper trucks can be used, and when tipper truck hire is the preferred option. One of the most common areas for tipper truck hire is for those who work on construction sites. Tipper trucks are specifically designed for storing and moving materials, such as soil, gravel and construction waste away from the construction site. The tipper truck allows this waste material to be stored and then moved safely. Once at its destination, the contents are then emptied via the hydraulic arm. Tipper trucks are the chosen vehicle when you need to remove large amounts of waste or recyclable materials, and when it needs to be done quickly and efficiently. They can hold and transport large amounts of waste that can then be placed into landfill sites, or designated recycling centres. The landscape gardener will generate a lot of garden waste, especially when working on large jobs. 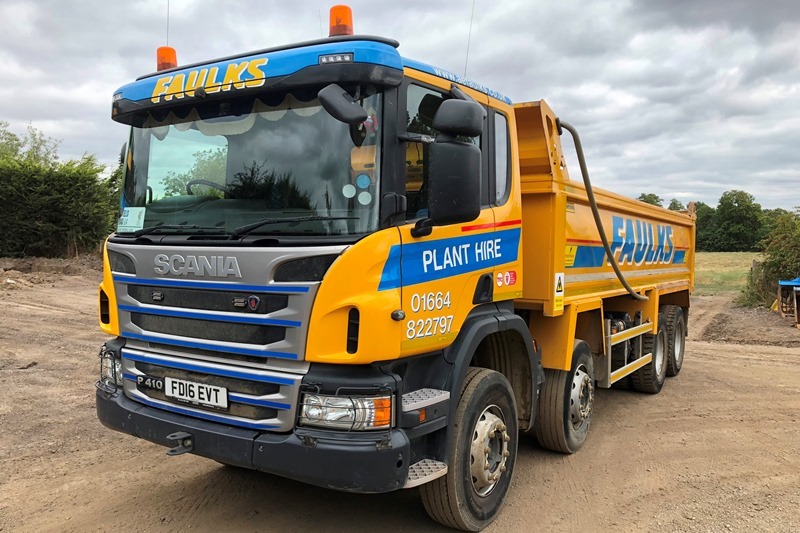 The tipper truck provides the ideal solution for when there is a lot of natural materials and garden waste that needs to be cleared from the site, much of which can be recycled. It is also useful in moving large amounts of excavated soil from one side of the garden, to another. Tipper trucks are commonly used in self-employed businesses. This may be in the scrap metal collection business, or within the agriculture and farming sector. Much of this type of work is seasonal, and so it makes financial sense to hire this type of machinery, as and when it is needed, as opposed to buying. To find out more about our tipper hire in Nottingham service, then please do contact us today via email, phone, or our online form. Here you can check to make sure your access is suitable for the vehicle delivering and collecting your skip.